Heavy duty carnage and eclecticism combine in a beautiful collision. 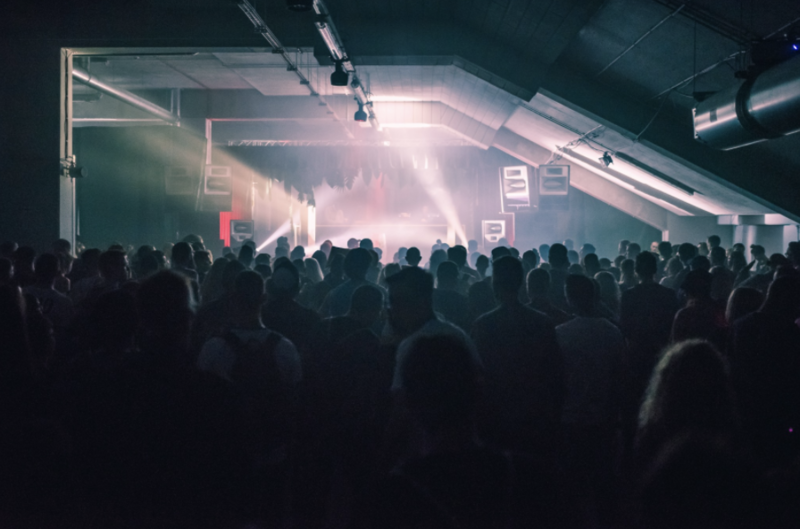 Like last year Białystok, a city north-east of Warsaw and close to the border with Belarus and Lithuania, is the unassuming location of this year’s Up To Date festival, one of Poland’s most revered electronic music events. 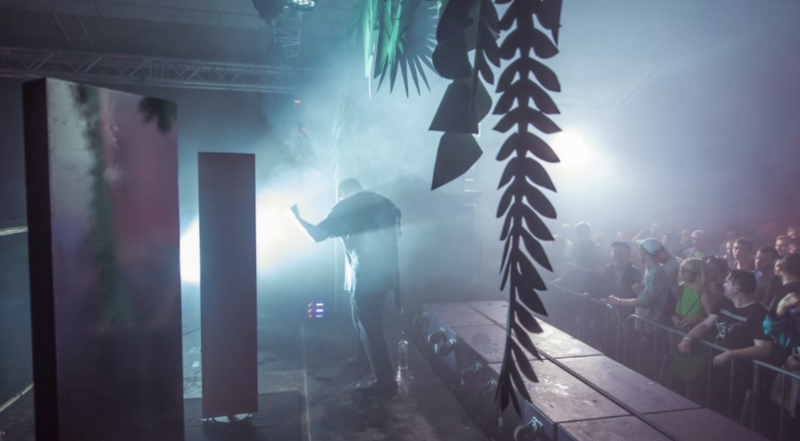 Now in its eighth year, the festival’s curation has been consistently predicated on showcasing the new and the unfamiliar as much as it has presenting established headliners from the cult ends of techno, D&B, noise, ambient and electro. 2017 was no different in this respect yet no less inventive in execution. From lying in a liminal state listening to a series of ambient performances in the quietude of the Podlasie Opera and Philharmonic centre to witnessing hails of noise, bass and bleeps in the vast hangar-like surroundings of Białystok city stadium, there was both an edge and a contemplative quality to this year’s festival that accommodated deep listening, en masse euphoria and blunt carnage all in the space of two days. No mean feat. After a long drive from Warsaw Chopin airport (Białystok doesn’t have one, a fact that only served to provoke curiosity) and a recuperative sleep the restrained yet immersive emanations coming from the Philharmonic centre came as a welcome salve to travel fatigue. Past a welcome desk and up some stairs a room has been turned into the Centralny Salon Ambientu. Resembling a small theatre remodelled for audiovisual display and filled with a seated crowd keen to absorb proceedings, it’s a place that encourages you to submit completely to sound, especially as cushioned seats line the floor and performances are conducted in pitch-black darkness. As the lights get turned down I’m struck by how disposed the crowd is to this prospect, as if this were a therapeutic exercise. The first performance of the festival comes from Verge and Osmo Nadir, an unknown quantity, at least to me. Their set proves to be an understated curtain raiser. Patient and hypnotizing I find myself intermittently zoning in on certain details and completely zoning out, a response that seems to confirm their work as something faithfully aligned with the original intentions of ambient music. Saying that there are foreboding airs and dense sub-bass waves here that invigorate the moderation with an unsettling quality. The visuals help to draw this element out too, an enigmatic hi-def examination of ocean and light that presents the former in a melancholic dusk-grey pallor and the latter in abstract glows and shimmers. Understated though it is there are potent flashpoints and the performance is effective, in so far as it convincingly establishes an atmosphere of cold disquiet. Those uncanny atmospherics are given forceful reinforcement by Prurient, the alias of Dominick Fernow. It feels somewhat peculiar to see him at this time of night, given the continued rise and usual late-night hours of his other notable project Vatican Shadow (more on that later), but as anyone familiar with the disarmingly more discreet and lusher moments of ‘Frozen Niagara Falls’ will attest, the Prurient project draws just as much power from detail and expanse as it does harshness and extremity. This stands for this performance where the former characteristics are concertedly drawn out. Just as there’s punishing avalanches of noise, dim yet dramatic gleams of synthwave and spare vocal death growls there are meticulous builds, slow descents and negative space. Perhaps the most appealing quality is how much Fernow’s use of the low end plays a factor. Often the bass becomes an enveloping hum, rattling the floor and any susceptible fixtures. The room is completely submerged. Set to visuals that resemble eerie home movies Fernow carves out a sound pitched somewhere between ‘FNF’, the recently reissued ‘Unknown Rains’ release and the astonishing depths of his work as Rainforest Spiritual Enslavement. There’s the sharp excruciation you’d expect from a performance built on the agonized noise of Prurient’s early work, but in emotive peaks and staggering low frequencies, there’s a hard won sense of beauty and density too, elements more often found in Fernow’s recent material. It’s an intense experience in so intimate a setting. From there a free bus shuttle is laid on for everyone to get to the stadium. Once in the main complex, an area that extends from the side of the stadium into its hospitality areas and just beyond its imposing stands, there are food stalls and bars selling a seemingly endless supply of Johnnie Walker. In the main complex, there’s a Red Bull stage where, at one point, a guy in a top knot blasts out a moronically beefed up Lil Jon remix. I move swiftly on. Fortunately, the Technosoul stage, a label and promoter collective run by a few of the festivals organisers, is in full swing and proves to be impeccably curated. Like a smaller version of Oval Space with a much better sound the stage, upon entry, is playing host to Art Crime who is in the midst of a set that has a peak time feel, with a large crowd already losing control. It’s barely ten. Someone remarked on the way to the festival that crowds here are a lot less spoilt than in the West and this seemed to provide confirmation. Less of the phone gazing and exhibitionism, more of the collective commitment and enthusiasm. From here the darkly ecstatic energies exhibited in Art Crime’s set soon see transition to the crude, insistent futurism of Detroit In Effect. 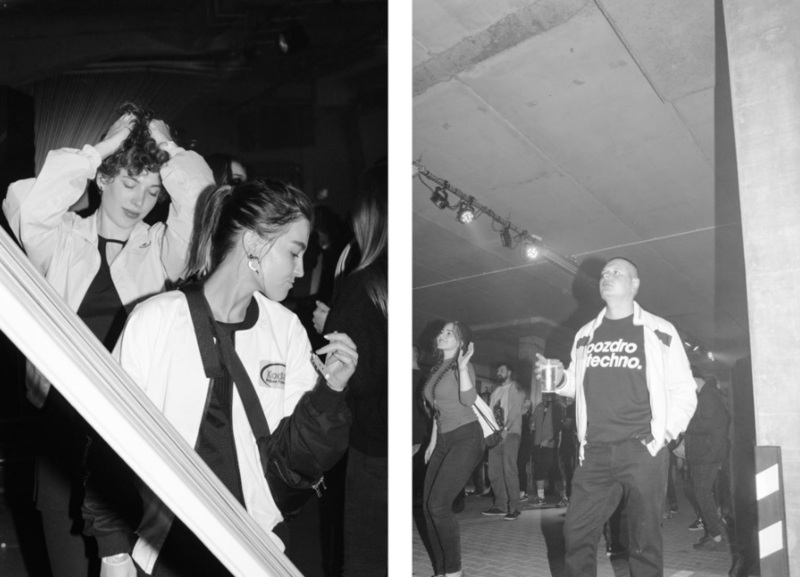 DIE’s Motor City electro classicism allows for some welcome divergence from the impellent and tunnelling dimensions of techno seen during Stojche and Gesloten Cirkel’s respective sets. On the Electronic Beats stage this notion is further given credence by Metalheadz veteran Doc Scott who closes out proceedings. His airings of intricate yet formidable D&B gives the evening a refreshing sense of non-partisan diversity. No one monopoly of genre. Back on the Technosoul stage there’s a back-to-back, one that’s highly anticipated and one that doesn’t disappoint. Ancient Methods and Vatican Shadow as a pairing looked correct on paper and proved inspired in reality. They burst into a fierce, militant yet cathartic pummel of assaultive, blistering techno, one that’s mired in rampant noise and brutish industrial impact. They remain in that mode for the duration of their set, Michael Wollenhaupt remaining dutifully stoic behind hardware and Fernow, following his performance as Prurient earlier in the night, compulsively storming to the front of the stage and barking what sound like heinous recriminations into the mic. There’s no let up. The ferocity continues with Shifted and The Empire Line and there’s a continuity in terms of execution. A collaboration between the Avian label head Guy Brewer – the label that released The Empire Line’s first record ‘Syndicat De La Couture’ – Varg, Christian Stadsgaard (also of Damien Dubrovnik) and a recent addition in the form of a vocalist named Isaac, tonight they’re just as venomous as Ancient Methods and Vatican Shadow but perhaps less obviously direct in their delivery. With the curtains drawn a voice suddenly bellows out demanding the soundman turn up the levels. The curtains part, and Shifted, Varg and Stadsgaard lock onto an unrelenting oscillation of low end. Screeches of signal, blowouts of noise and a ruthlessly reduced beat ring out as Isaac, decorated liberally in elaborate tattoos, parades the stage like a rogue hooligan; Tim Roth’s character in Alan Clarke’s Made In Britain if he’d been immersed in power electronics (rather than delinquency and racism) He gives the surrounding turbulence a riotous, coercive sense of magnetism. It’s a transfixing onslaught. There’s a sense that Ancient Methods, Vatican Shadow, Shifted and The Empire Line have brought the gratifying and functional momentums of earlier to a conclusion of wreckage and collapse, an explosive finale that’s nevertheless just as rousing as the more straight forward dancefloor fare that precedes them, not only on account of the uninhibited energy defining each performance but also because of the way that dancefloor compulsions are here reshaped to their own severe and singular ends. The next and final night begins again on the Ambient stage, this time with Murcof. Stefan Wesolowski, a violinist, composer and producer who recently helmed the soundtrack for the alternative Marlon Brando biopic ‘Listen To Me Marlon’, had preceded Murcof’s appearance with a full string section. I just missed him, regretting the consequences of a prolonged recovery from the night before. 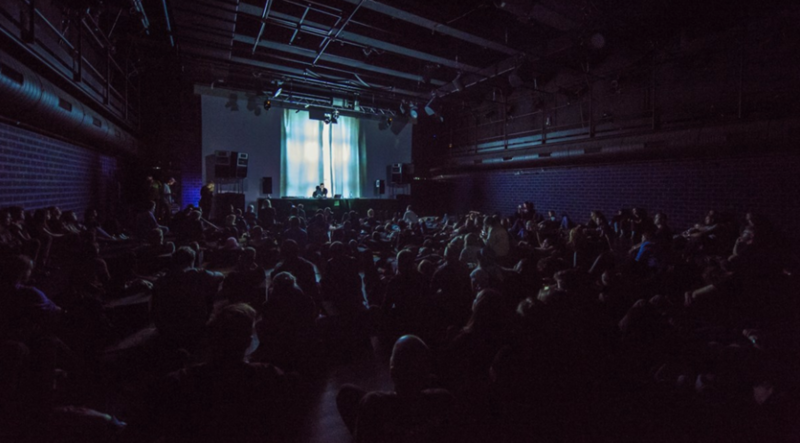 Still I’m reminded again of the extent of the festival’s curatorial remit and the crowd’s appetite for music which extends way beyond techno and hard-edged electronics into more introspective territories. As it is I witness the duration of Murcof aka Fernando Corona’s performance who gives cause for pause with an ambient music that, more than anything else, seemed fixed on accentuating space and silence between accretions of sweeping drone. Shadings of sibilance and aeration don’t so much develop as meticulously expand, a process of virtuous restraint. Yet with this composure, as with the case in Verge and Osmo Nadir’s performance, there’s an unease here which makes this more than considered aural wallpaper. There’s a well-judged sensitivity across the spectrum, from colossal rumblings of bass to a haunting pin drop stillness that keeps most of the crowd rapt, save one brave member of the audience who, in a crowd of seated spectators, sways near the speaker, their head almost in the bass bin. Part of me thinks ‘what a wanker’, the other part, considering Murcof’s deft engineering, ‘fair enough’. On my first night I got talking to Justyna Banaszczyk aka FOQL who, as well as revealing a mutual interest in Unit Moebius and Cabaret Voltaire records, is keen to highlight the talent coming out of Poland. She opens the Technosoul stage on this second and last night and represents one of many reasons why the rest of Europe should pay more attention to the scenes and personalities of this region. Murcof clashes with her performance but our conversation leads me to her releases for Always Human and Pointless Geometry where her sinuous and twisted mutations of techno, electro, EBM and acid - despite my aspersions – sidestep easy categorisation. Peter Van Hoesen follows later and his set proves to be, like Art Crime’s the night before, the first taste of something more party orientated. There’s an unwaveringly dark and tough aspect to his performance that aligns him closely with techno’s more ruthless selectors (Ben Sims, DVS1, even Klock and Dettmann) but it’s one that also maintains a character of its own. Besides that, I’m stood behind a skinhead for most of the set, their bolshie head nodding and hyperactive stomping providing ample enough proof that Hoesen is doing something right (all the while bringing up flashbacks of Isaac the night before). During his set I also notice rotating installations that have been placed onstage, as well as red underlighting and extensive mists from smoke machines. It’s quite a sight. As further attested to by the long lines and hype surrounding the ‘Pozdro Techno’ merch shop and the hundreds of attendees all decked out in gear with the phrase splayed across them, there’s an attention paid to aesthetics here that ensures that finer details aren’t forgotten. The heavy-duty vodka flows before one of the highlights and final performances of the festival comes around. Featuring, once again, Michael Wollenhaupt aka Ancient Methods, this time alongside Karl O’Connor aka Regis, Ugandan Methods take up where Vatican Shadow, AM, Shifted and The Empire Line left off the previous evening. More climactic vociferation. But this time there’s something sleeker in their execution than the uncurbed noise of their counterparts. The spit and the snarl that threatened to spill over so compellingly before favoured for highly refined soundscapes and calibrated power. O’Connor yells abrasive calls over the mic like a dubbed-out drill sergeant. Roars echo endlessly. There’s the same paradoxical factor existent here that made ‘Blood Witness’ such a timeless record. A plotted, controlled yet bludgeoning and unruly demolition. At one point someone leans into my ear and asks if I’m ok, with an unmistakeable tone and an empathetic look that appears that they’re concerned for my welfare. I slur ‘I’m fine’. The vodka combined with this performance proves to be the ultimate peak of my festival and I’m sure – at least in terms of the latter – many others. From here on out for me the way lies downwards. 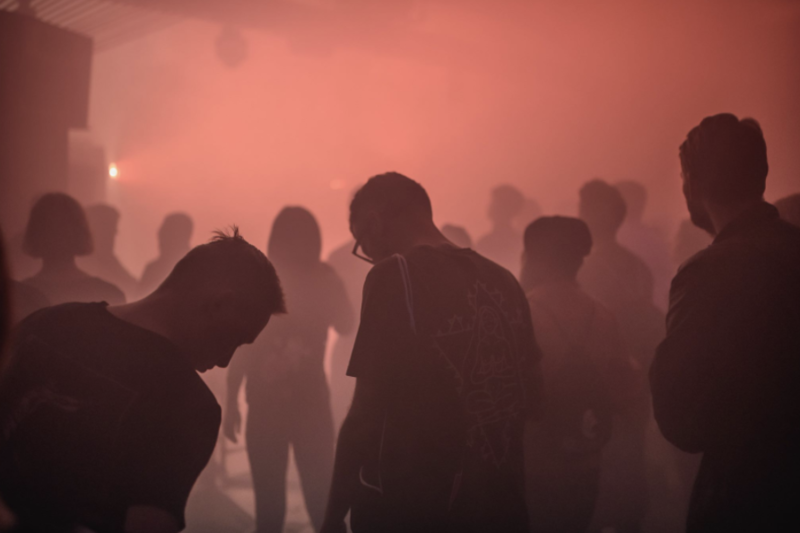 The rest of the night is left to Abdulla Rashim, Marco Shuttle, Lorenzo Senni and Amnesia Scanner, a final running that further certifies the breadth and the quality of the programme Up To Date put together this year. As a festival it’s one that’s been on the rise for a while and this year’s edition only served to improve upon that ascension, upholding a reputation for eclecticism, dedication, homegrown pride and open-minded curation. While many outside of Poland are still yet to be initiated into the advance of the ‘Pozdro Techno’ merch fervour and the achievements of Up To Date thus far, the 2017 edition unequivocally confirmed that it’s only a matter of time.